The Boston Chapter of the American Guild of Organists (AGO) maintains a list, available below, of its members willing to serve as substitutes. Please note that all information is self-identified by those who submit their name for inclusion in this roster. 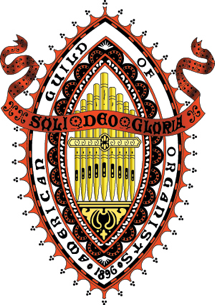 The chapter is unable to confirm any details except that each name identifies an individual who is a full member in good standing of the Boston Chapter of the American Guild of Organists, and cannot determine or ensure that any individual will fulfill the needs of any given situation. Negotiating parties are responsible for matching requirements, skills, payment, etc. If you are looking to hire an organist, whether as a substitute for a church service or for some other music event, you should contact individuals to confirm specific information, such as education, experience, denomination familiarity, and recent substitute engagements. Good substitutes pay close attention to details beyond the music they will play. When accepting a substitute commitment in a new setting, be clear and thorough about what you will need, such as access to the organ for practice, order of service, expectations for attire, quirks of the organ and location of technical equipment, other musicians involved, hymns, hymn style, service music, and a readily-available emergency contact person. Also be clear and forthright about your own experience and abilities. All current members of the Boston Chapter of the AGO are eligible to apply to be included on the Chapter’s Substitute List. Use this link to apply (password required). Note that due to the high volume of membership, the list is updated only periodically several times during the year. Please make sure that your Boston Chapter membership is up to date! Help keep our list current! If you accept a new position, move from the region, or find yourself turning away engagements, please follow this link to request that your name be removed from the list, check the box, fill out the required information, and press “Send”. If you wish, let us know in the “Comments” field where you are going!